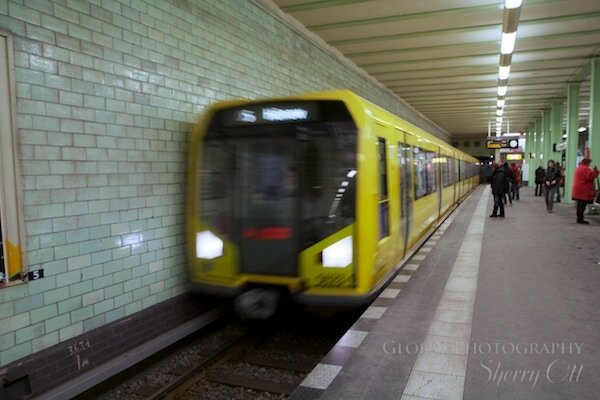 You are here Holiday Ideas Travel blogs 'Living like a local' in Berlin? 'Living like a local' in Berlin? Where and how do you find local experiences? Riding local transport and shopping at grocery stores are two of the easiest and quickest ways to fit in for me. I was once told that the less money you spend, the closer to the ground you travel and I have to agree 100%. Taking cabs and going out to eat every day is easy – and costly. But having to figure out your way around a city via local transport (bike, subway, buses, trams, by foot) and shopping for your own groceries is a real adventure – and you will definitely meet and observe locals along the way! I think one of the best ways to have/find local experiences is to actually meet locals who will show you around. I was lucky enough to have a few friends in Berlin to do that for me. By meeting with locals outside of a tour situation but instead as more of a social situation is a great way to learn about fitting in. My friend Sam not only showed me around a few neighborhoods by foot. As we caught up on each other’s lives he peppered in a little history and trivia about the area. It was casual, relaxed, and I felt as if I fit in like a local as I walked around with Sam. I also took any opportunities I could to make new local friends like Anthony and Thomas who I met at a travel conference the first week I was in Berlin. Reading local (English) magazines and newspapers as well as attending local events is also a great way to get more immersed. However do be aware that when you try to go off the tourist track to find more meaty experiences then you also run the risk of more disappointment and struggle. I experienced this at the Long Night at the Museums event in Berlin. I picked up a brochure about the event and how it worked and went by myself. I knew what I was getting myself into – I wanted the challenge – but after 3 strikes , the cold weather, getting lost, not being able to read the brochure/decipher it, and frustration of the challenge of communication – I just gave up half way through and went home instead.